Sparks Fly as Skydivers Glide Past a Dazzling Supermoon in Epic Red Bull Stunt! 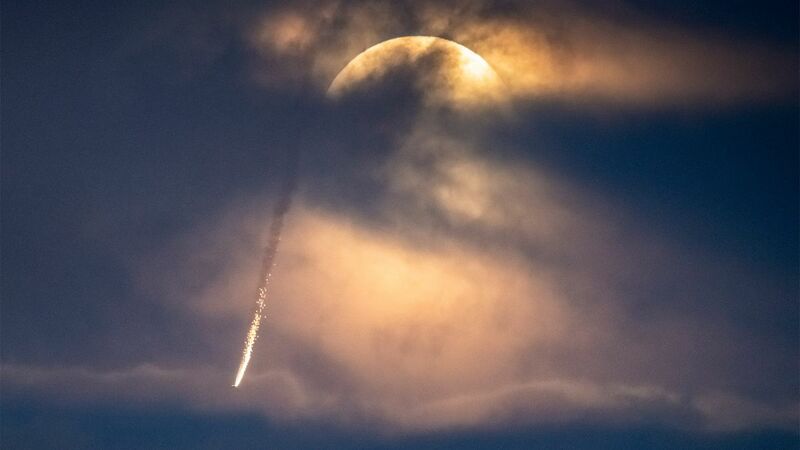 Trailing sparks between their wingsuits, the Red Bull Air Force swept into Los Angeles from above on Thursday (March 20) to celebrate the third and final supermoon of 2019. A dramatic video shows one of the jumpers gliding into the downtown of the California city, carefully skirting a skyscraper along the way. As traffic clogs the scene below, the jumper pops open a parachute and carefully scans the landscape for his landing area, a cleared-out street. Moments later, a second jumper lands just in front of the first.